I DONT WANT MY CHILDREN TO EVER FEEL LIKE THEY CANT TELL M - ProudMummy.com the Web's Community for Mums. 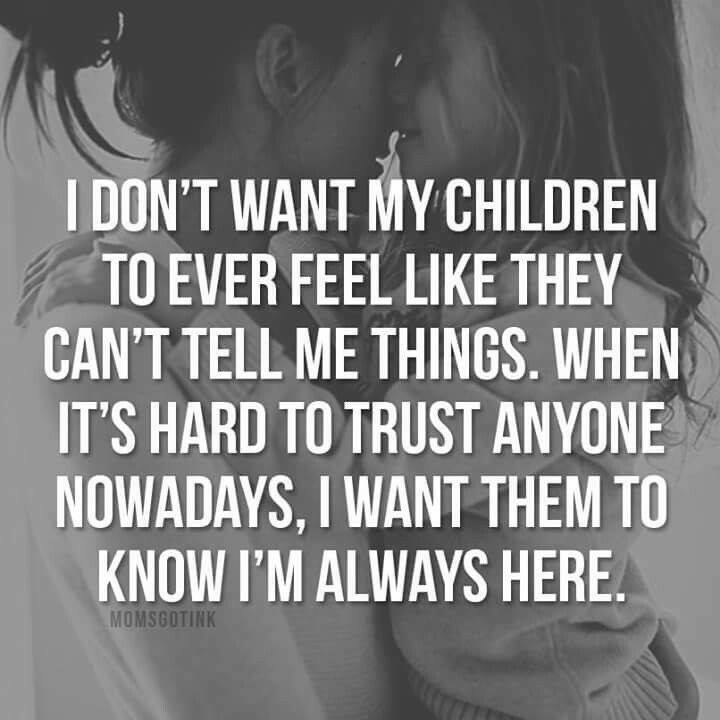 I DON'T WANT MY CHILDREN TO EVER FEEL LIKE THEY CAN'T TELL ME THINGS. WHEN IT'S HARD TO TRUST ANYONE NOWADAYS, I WANT THEM TO KNOW I'M ALWAYS HERE. Layla Jackson you know this.